There are two types of people. Those who can do perfect flicky eyeliner, and those who try, but end up looking more like Uncle Fester than Morticia. As with most things, it all comes down to technique, patience and practice. So we asked Sara Au Yeong, makeup artist and founder of B.C. beauty brand Amaterasu (formerly Geisha Ink), to give us a quick tutorial. “This look suits most eye shapes as it makes them look lifted,” she says. 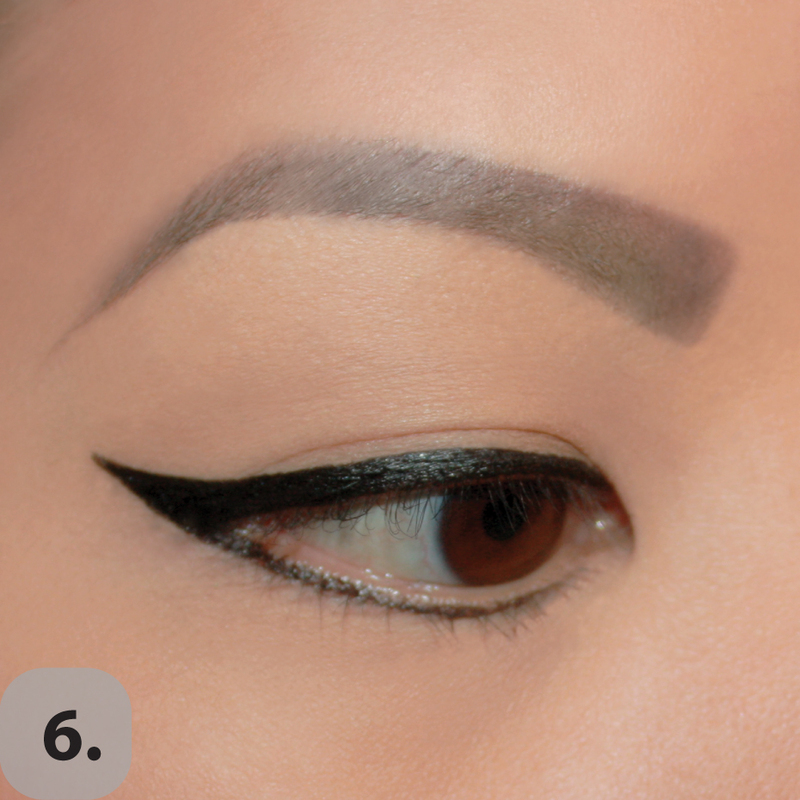 Unlike a blended smoky eye, you don’t need gazillions of products to get the look: Just eyeliner and a mirror. Some makeup artists would suggest using primer first, but Au Yeong says that’s not necessary – if you have oily lids, use blotting paper to remove excess oil from the eyelids, then dust a little powder over. 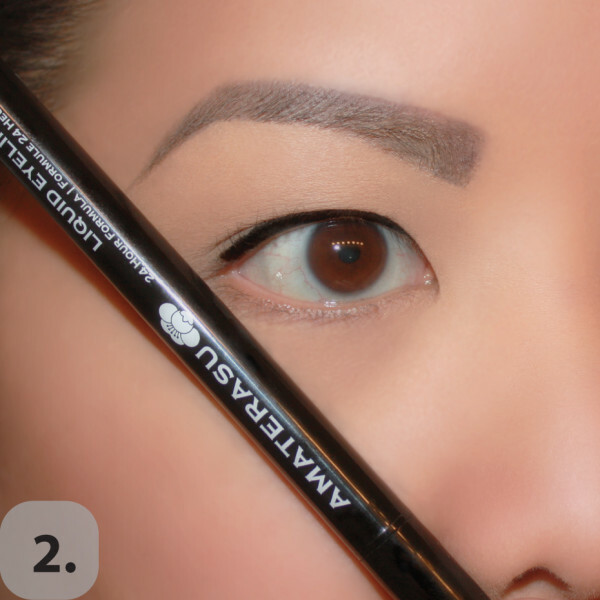 You can use eyeliner pencil or liquid liner, but Au Yeong prefers the latter. “The cat-eye is all about a clean and refined look,” she explains. Starting at your inner corner, draw a line along your top lash line, as close to your lashes as possible. Take a straight edge, such as the eyeliner or a brush handle, and angle it against your nose, pointing towards the end of your eyebrow. This will be the angle of your wing. “You can use the liner to mark with a dot where the line should finish,” says Au Yeong. 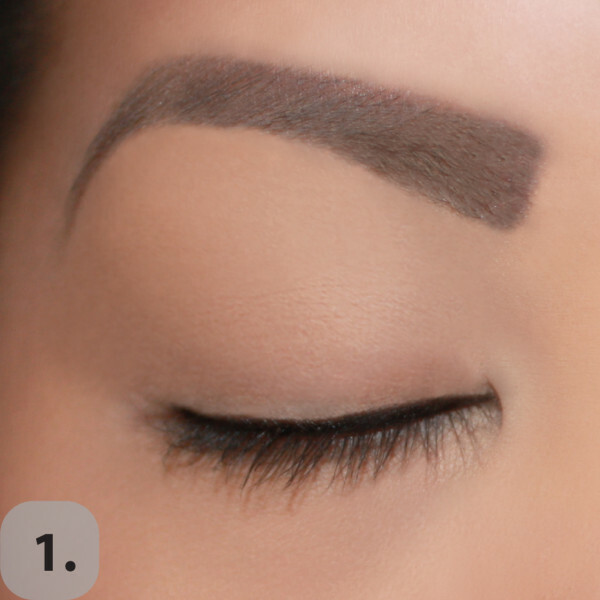 Starting where the eyeliner ends at the outer corner of your eyelid, draw a line up towards the tail of your eyebrow, finishing at the dot you created in step 2. 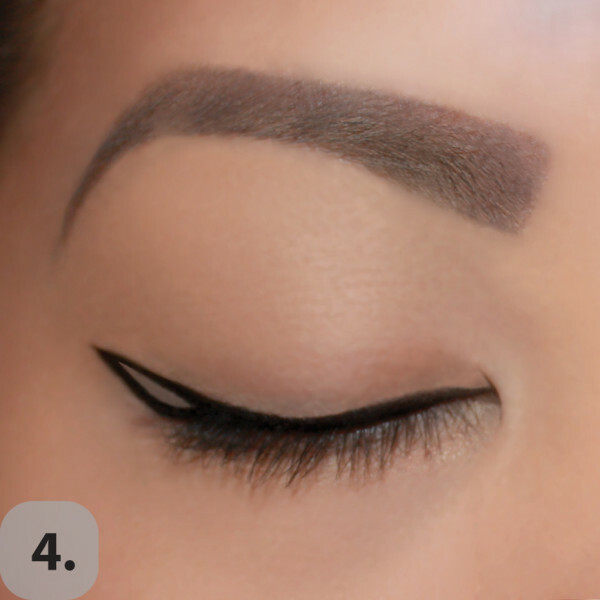 The longer the line, the more dramatic your cat-eye will be. 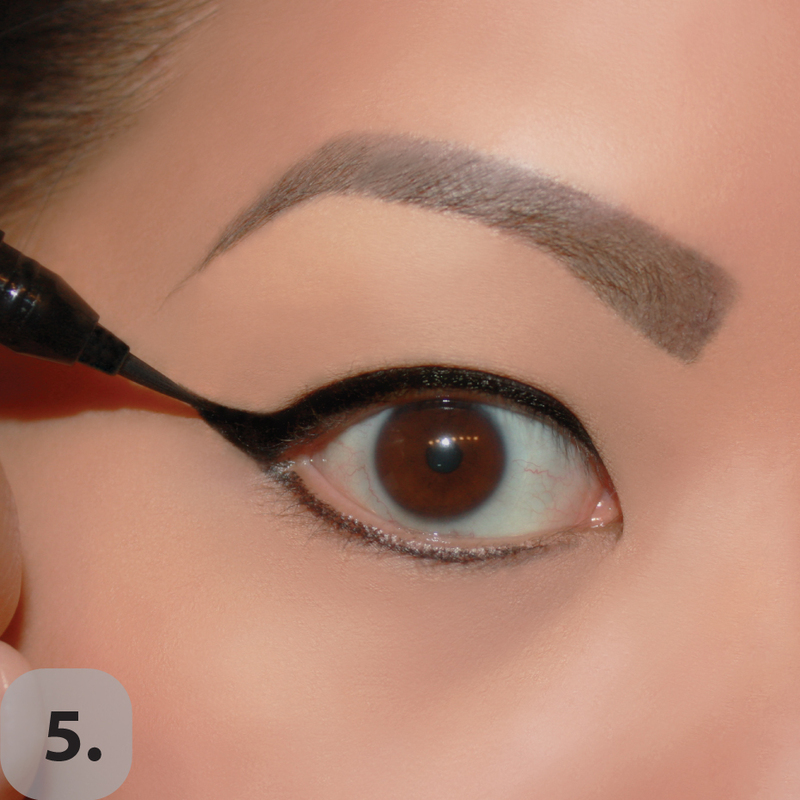 Draw a second line from the tip of the wing diagonally down towards the lash line creating a triangle. “Start with a small triangle, especially if you’re not used to this look, then once you’re comfortable with it, you can extend the triangle,” says Au Yeong. 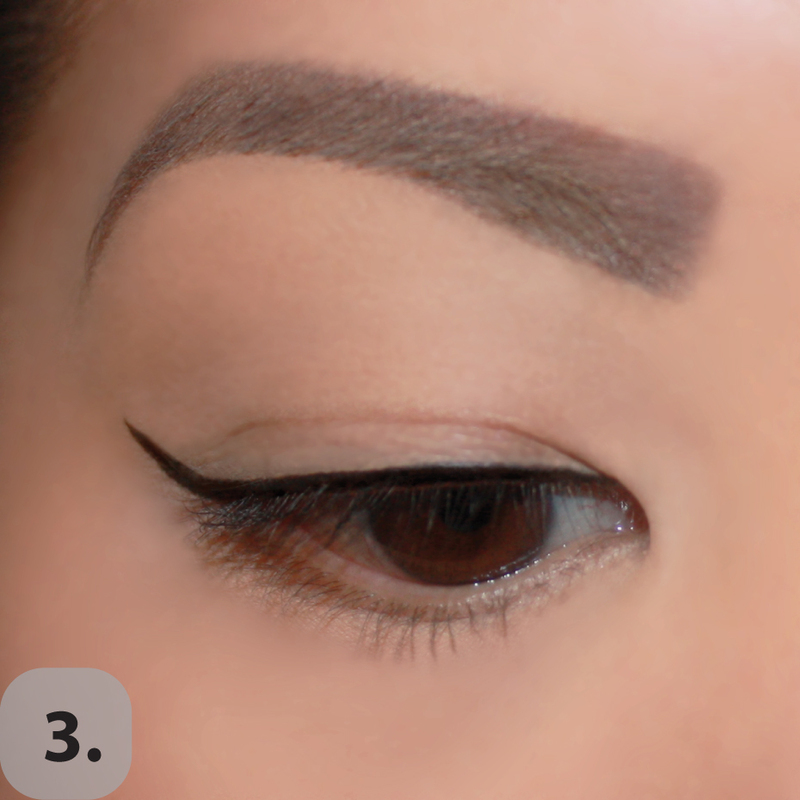 Fill in the empty space to create the wing, then draw a line along the lower lash line as close to the lashes as possible. Connect the lower lash eyeliner with the wing and clean up any imperfections. “Amaterasu Liquid Eyeliner is removable with water, so you can use a Q-tip dipped in lukewarm water as your eraser,” says Au Yeong.